Fixed wrong mode in some presets. Fixed filter used in linear phase oversampling mode. Added support for 10 times attack time scaling. Molot changes its latency when switched between “HQ” and “Fast” oversampling modes. So finally, what’s new in version 1.0.2? 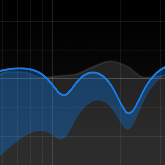 Subtle changes in peak limiter Type I-III modes. if you manually enter numeric parameter value, you should click somewhere on plugin background instead of pressing “enter” key. PS. I want to give more tests for this version, then release it! What’s new? Stereo-linking in peak limiter module now works OK (check this out! it sounds pretty good). Also modes I-III in peak limiter module were slightly changed. Less CPU intensive GUI animation. Numeric parameter values are editable. What’s new? 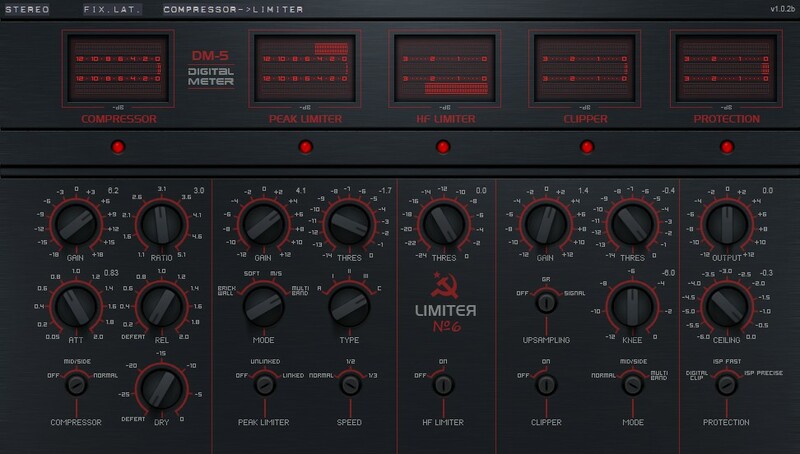 New output limiter based on Limiter №6. Numeric parameter values are editable. A lot of bug fixes. I’m making AU and Mac ports for these versions. They’re expected very soon!